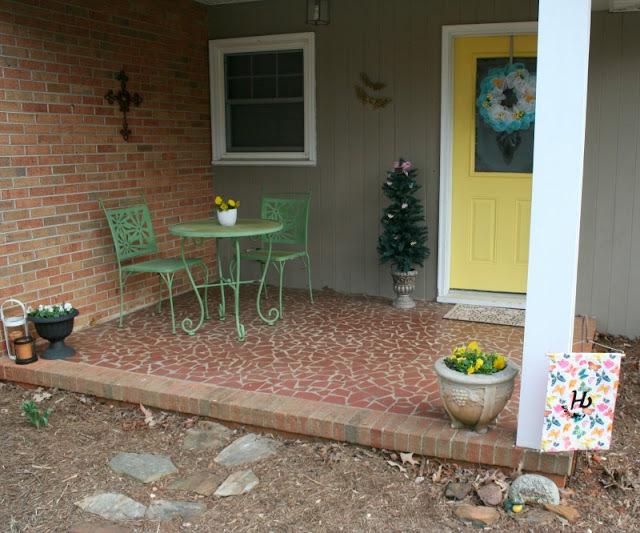 Once the flowers start popping up through the earth, I am in the mood to put away all my winter decor and break out the pastels. This year, I made a new wreath for my door, a garden flag using a place mat, and gave my wooden butterflies a new life with some paint. 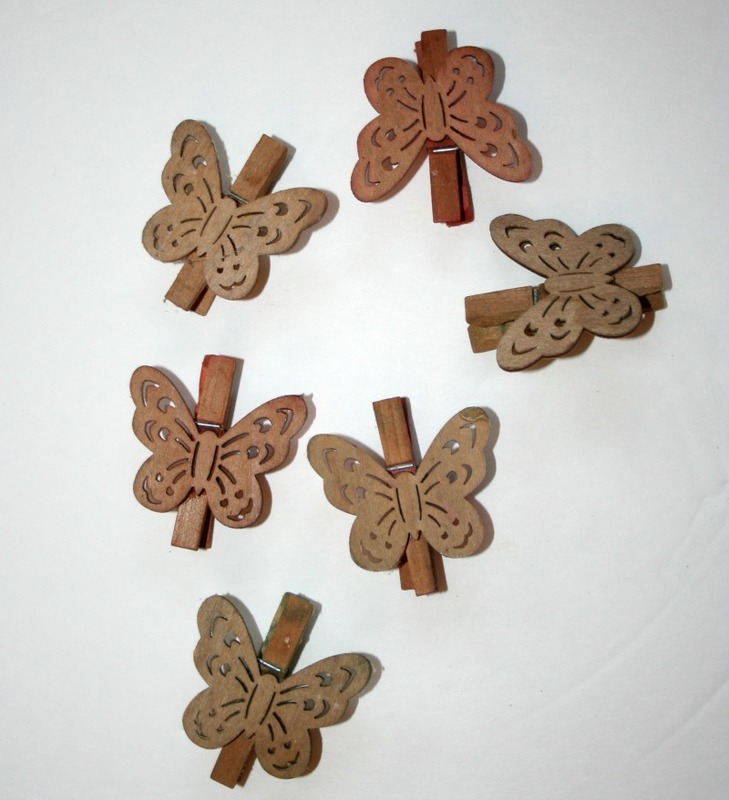 I bought these stained wooden butterflies years ago at World Market and the sun has faded them over the last few years. I decided to shop my paint stash and give them a makeover for Spring! 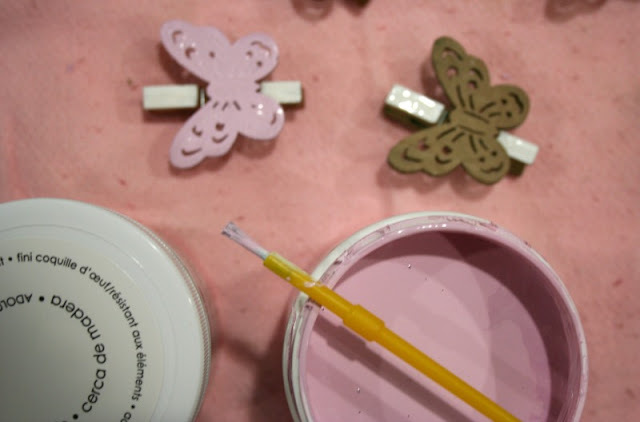 I decided on a mix of pastels and white for the "body." 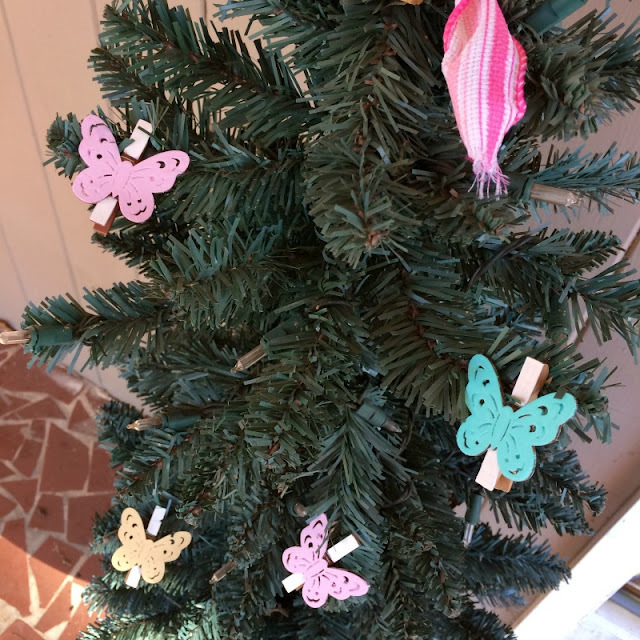 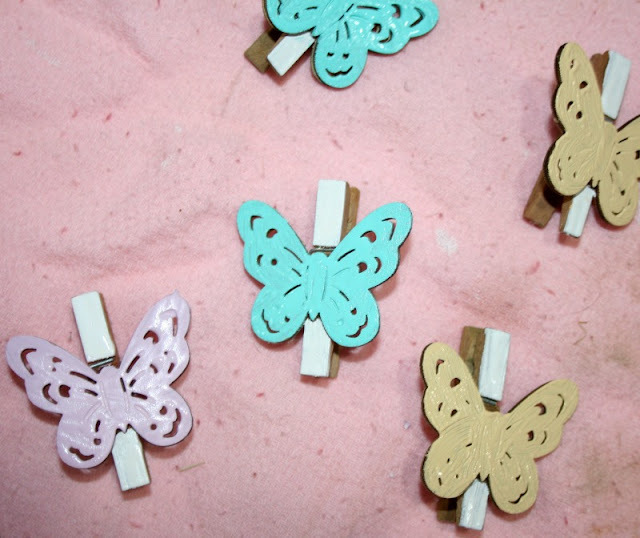 Once the butterflies had dried, I added them to the mini tree and topped it with a pink ribbon and mini chalkboard with "Spring" written on it. I added some pansies to my flower pots and pastel candles to the lanterns. 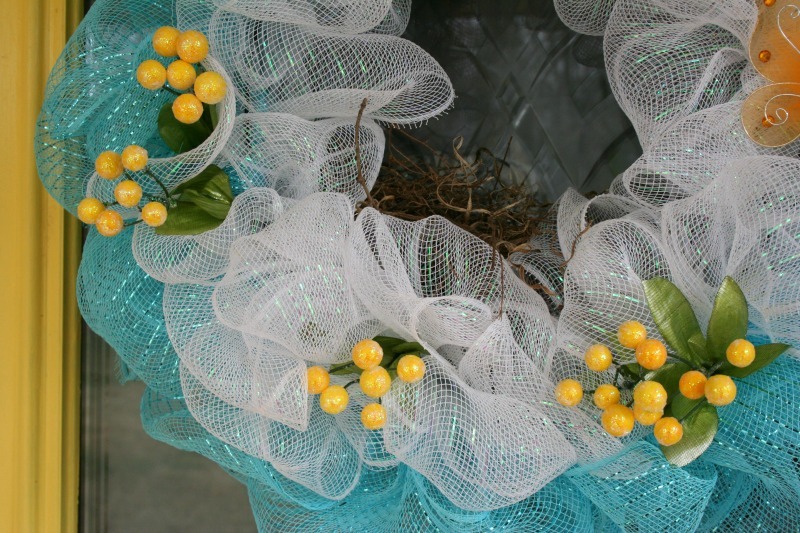 My pretty DIY deco mesh wreath adds the perfect finishing touch to the yellow front door! 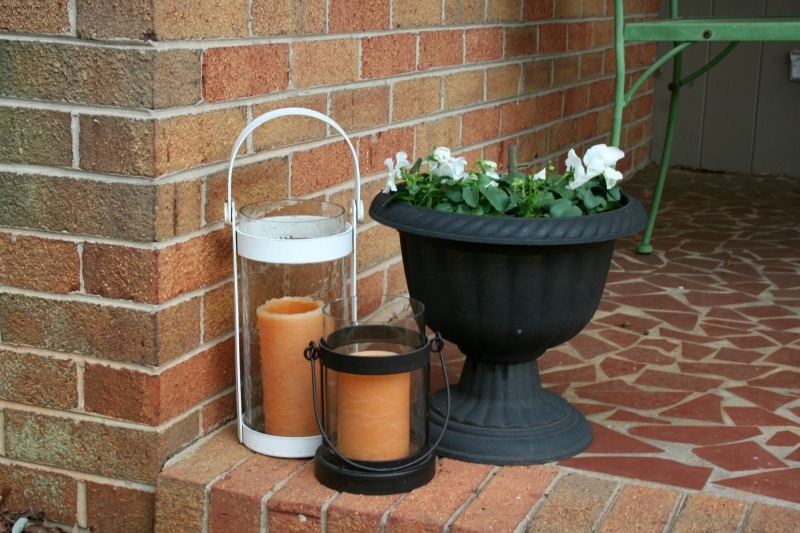 Even the birds approve, since one has already starting building a nest in it. I can't wait to have baby birds again this year! I also whipped up this easy garden flag using a Dollar Tree place mat! 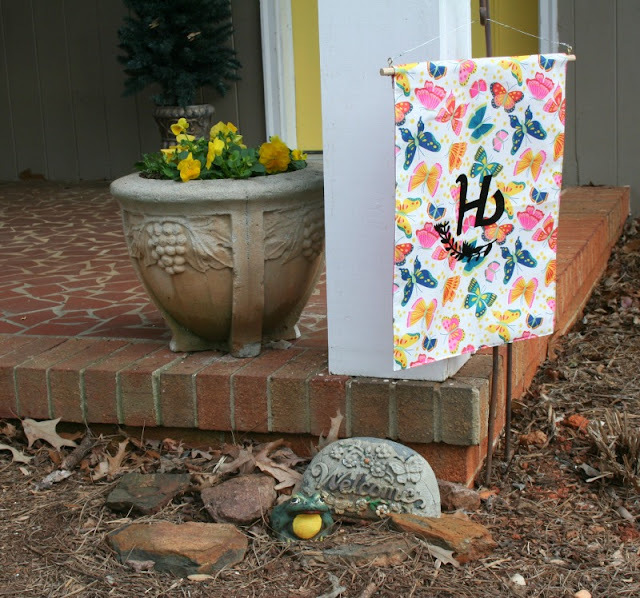 I got the idea from seeing THIS FLAG that Pretty Handy Girl created. 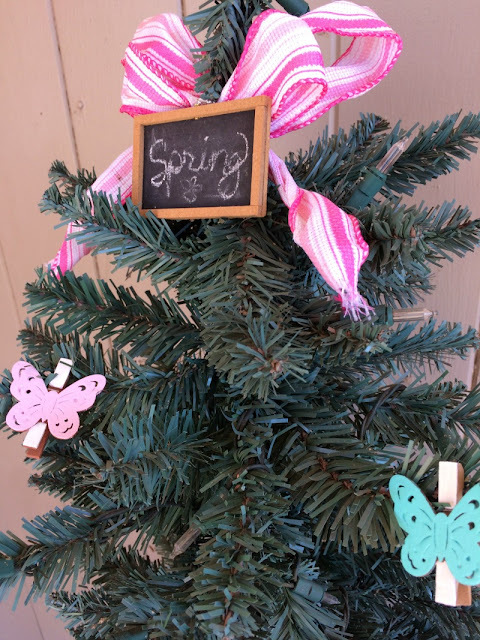 Have you started decorating for Spring yet? Which of these projects do you want to make? 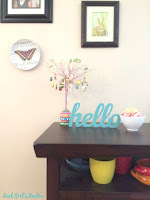 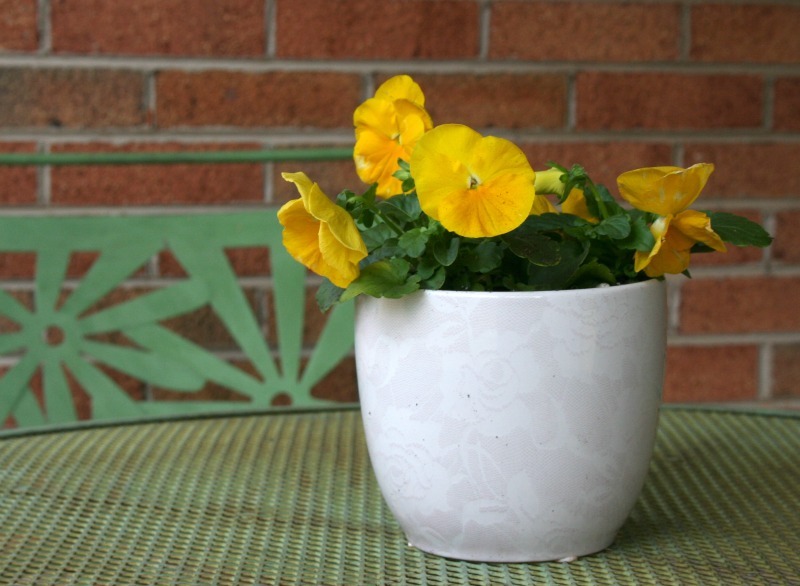 Check out my Spring decor from last year for even more inspiration!